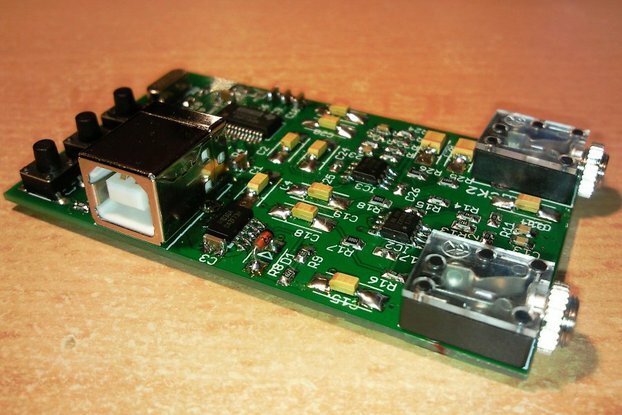 This is a small FM radio based on the Philips TEA5767 stereo FM receiver chip. The radio has two control buttons: "Frequency UP" and "Frequency DOWN". Pressing the "Frequency UP' button the radio finds the first available FM radio station and plays it. 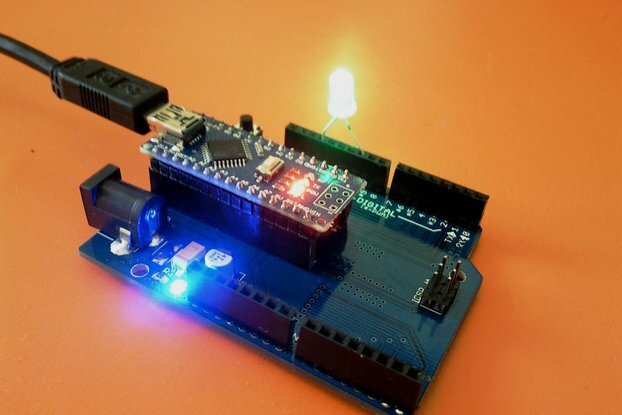 If a signal is stereo, a LED indicator turns on. 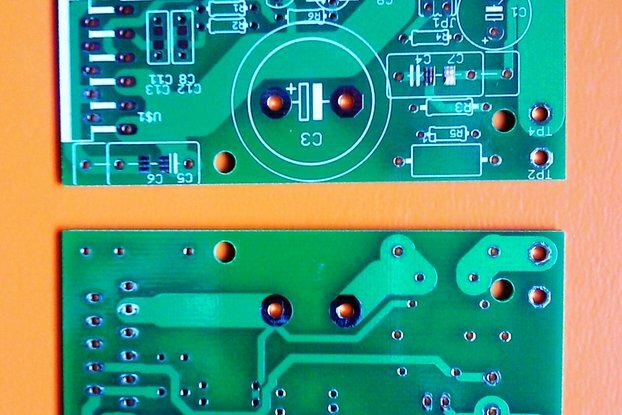 For the control of the FM receiver chip, the smallest and cheapest Atmel microcontroller is used (Attiny85). It covers the 88MHz-108MHz FM radio range. The frequency scan starts from 88 MHz. The electrolytic capacitors are tantalum. 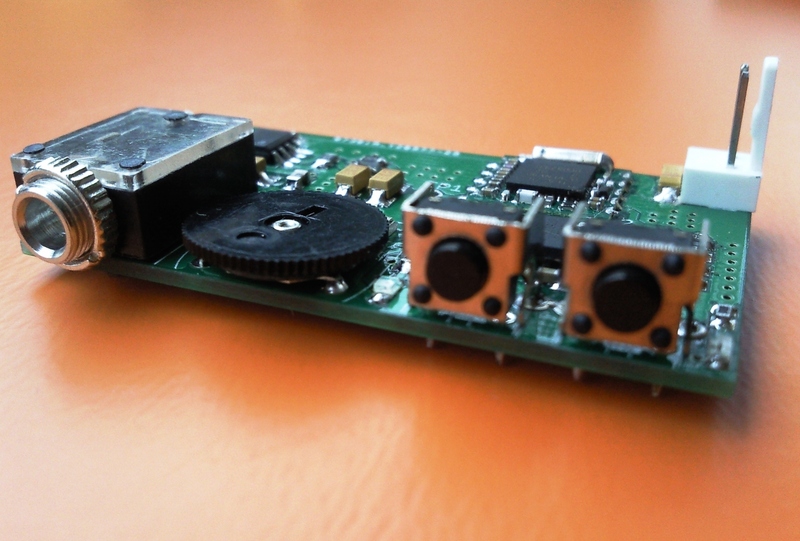 This made it possible to implement the whole radio on a board with size 5 cm x 3.5 cm. The size limiting parts are the mechanical one. 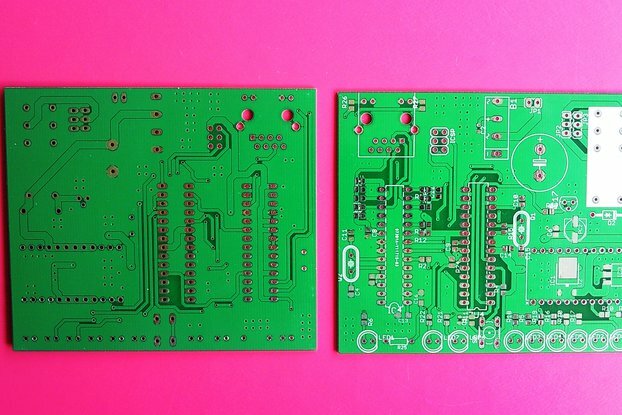 I placed all of them on one side of the PCB for easy control of the radio and ease of assembly in a housing. The radio uses the headphone as an antenna and the radio receipt is very stable and high quality. 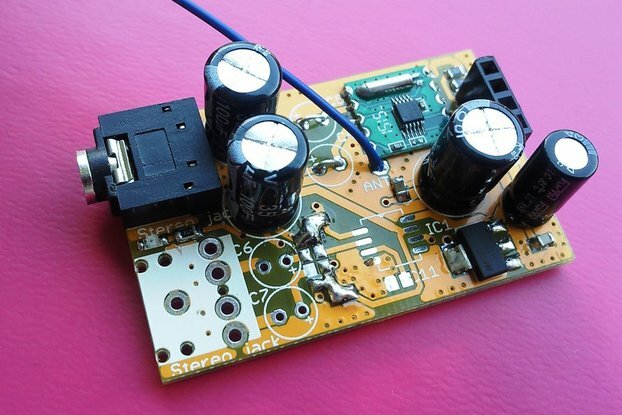 Power supply: 2.7V - 5V. I found such modules (TEA5767) in a fabric MP3 player. I played with them using Arduino for control and I was impressed by the sound they deliver. 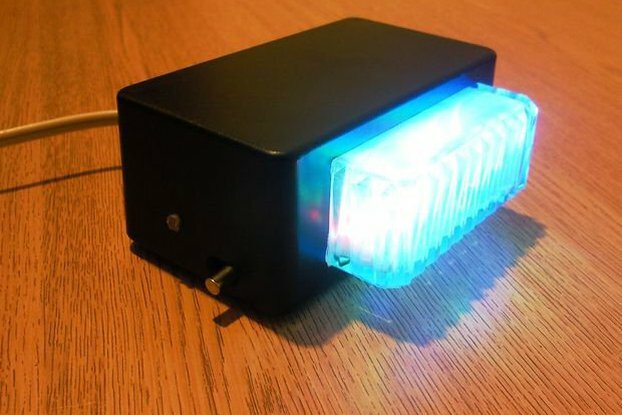 I decided to make standalone radio based on the module. I wanted to make it as small as possible and I have chose to use 8-pin Atmel Attiny85 nicrocontroller in SO8 package. The main challenge was that the Attiny85 does not directly support the I2C protocol used by the TEA5767 module, so I had to rewrite some libraries to make this possible. 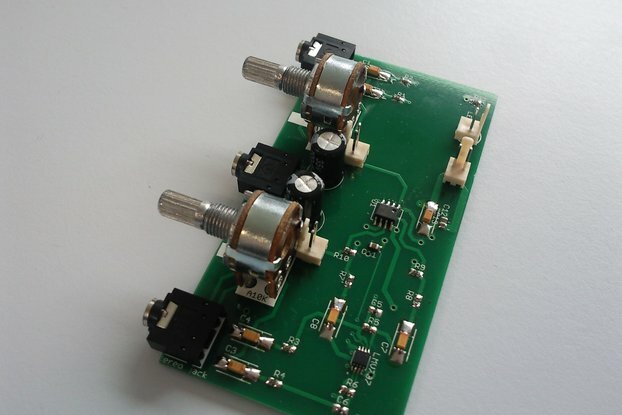 High quality FM radio receiver based on the TEA5767 chip, controlled by Attiny85. 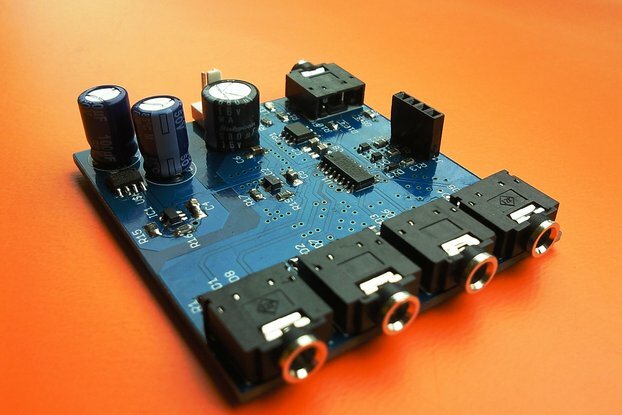 The board is small and can be used for DIY project having FM radio. 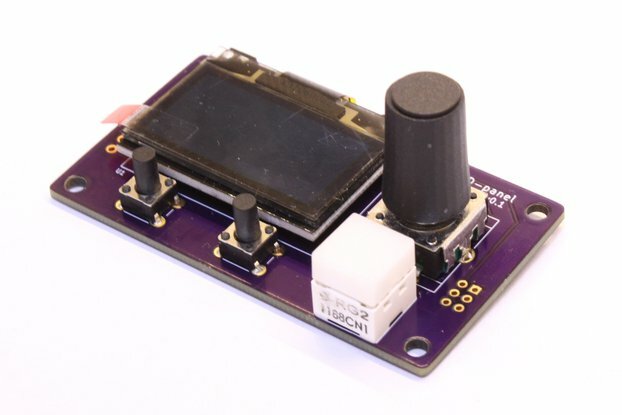 The board has an SPI interface and the microcontroller can be re-programmed as you desire. This also makes the product a development board for TEA5767 module. 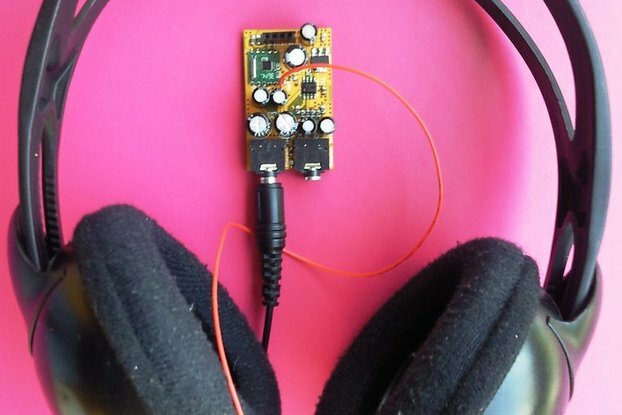 If you wish, the radio can be offered as a DIY kit. 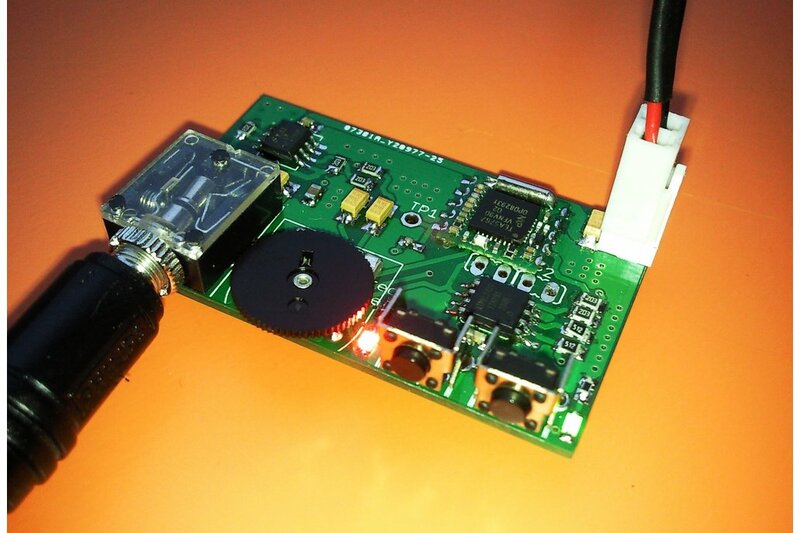 Update: Newer version exist now - to decrease the power consumption the stereo indicator LED was removed. A power switch was added. Please, ordering the radio indicate which of both versions you prefer. If not selected - a random or currently available version will be sent.